This is a great side dish that has a bit of both sweet and savory. I especially like the texture where it's not too dense and not too loose. The spoonbread can easily be adapted to something more savory and include additional add ins such as black beans, crumbled bacon, scallions, diced bell peppers, or even jalapenos. Whatever you decide, it's worth trying out and makes for a nice side dish to a Southwestern, Tex-Mex or Mexican inspired meal. Place trivet in IP with 1 cup of water. In a bowl of a stand mixer fitted with the paddle attachment, beat butter until it is creamy. Add the flour and creamed corn and beat until well mixed. Stir in the thawed corn. In a separate bowl, mix cornmeal, sugar, cream, salt, and baking powder. Add to corn mixture and stir to combine. Pour batter into an ungreased 6 inch round baking pan. Smooth batter and cover with aluminum foil. Once at pressure, the display will reflect 15 (the number of minutes you initially set) and will begin to countdown to 0 minutes. When the IP beeps after pressure cooking for 15 minutes, allow your IP to naturally release pressure for completely. While naturally releasing pressure (also known as NPR or NR), the display will reflect numbers counting up from 1. The numbers indicate how many minutes the IP has stopped cooking since it beeped (or how many minutes it has been naturally releasing pressure). No need to touch your IP while it naturally releases pressure. The pin at the top of your IP will drop when all pressure has been released and it's safe to open. Allow to cool for 10 minutes. Use an ice cream scoop for easy removal from pot. Is 15 minutes the right amount of time? I have seen other recipes for this that say 45 minutes. Would love it if it only took 15 min! 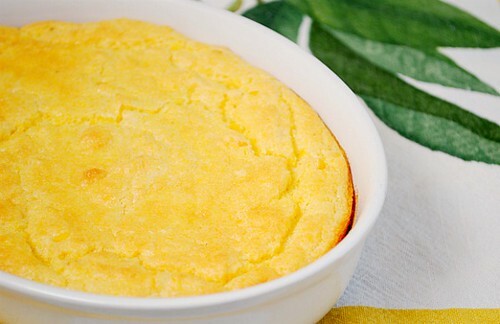 Yes - this is spoonbread and is going to be pudding like and much looser than cornbread or tomalito, which is firmer.